Yesterday it was time for the yearly Dusting Expo, the biggest expo for home IT in Sweden. This year many of the companies had at least some sort of hybrid ,which is a surfpad combined with a detachable keyboard and looks like a small laptop. The advantage of this sort of device is that you can choose how to use it. If you want to read you detach the keyboard and use it as a surfpad. 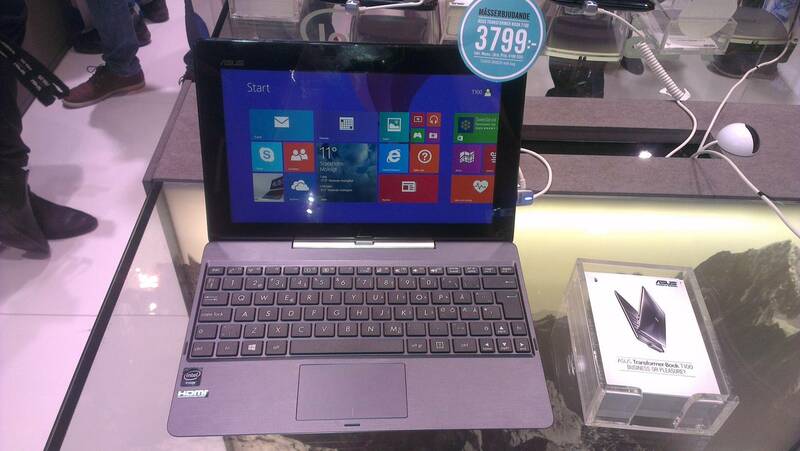 If you on the other hand need to write (during a meeting for example) you attach the keyboard and use it as a laptop. Asus had for example a really nice hybrid which got Windows 8.1 installed and a full version of Home or Student Office 365. With its 64 Gb of disk space (and the possibility to expand using microSD cards) you have plenty of space for just taking notes. 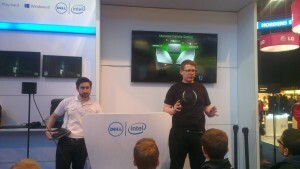 Dell had a short presentation on their Alienware models and I really liked the 18″ laptop with double graphic cards. Both desktop and laptop models look very nice in their design. It’s really an alien feeling with the blue, green or red gloving light. On the software side a lot of focus was on Windows 8.1 and Office 365. I have to say that Microsoft really got a good combination there of desktop software combined with cloud storage/computing which not many others can offer. Apple didn’t have anything new this year more than the iPad mini, which we’ve all seen before. No new features and no new models really, just the old boring stuff. 5% off your St. Patty’s Day Party Supply purchase of $75 or more! $5 off your St. Patrick’s day decor or gift purchase of $40 or more!